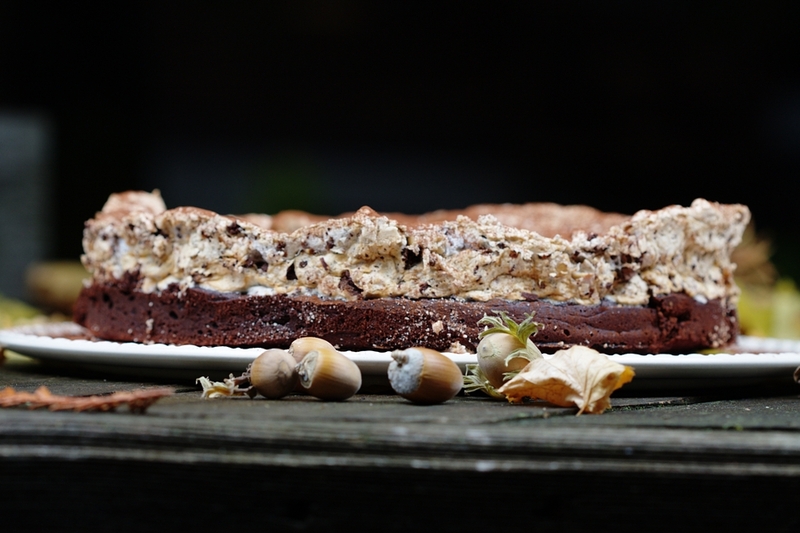 For Thanksgiving I made a Hazelnut Chocolate Meringue cake. It turned out pretty good. 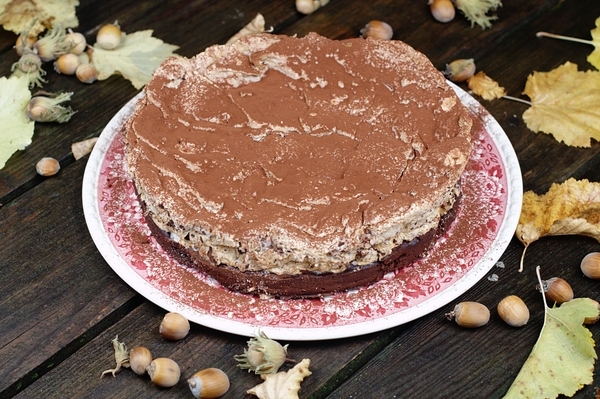 It was basically a flourless chocolate cake base with a meringue topping that had hazelnuts and chocolate mixed in. No Callebaut this time as I was at my parents, so I had to settle for Lindt. However I did get to use my parents home grown hazelnuts, which were extra tasty. I used the following recipe found at Tartelette which was an adaptation of a Martha Stewart recipe. I am happy with the result and may just try it again sometime.